A surfer, a punk photographer, a paralegal and finally a brewmaster, Shaun O’Sullivan has lived many lives. 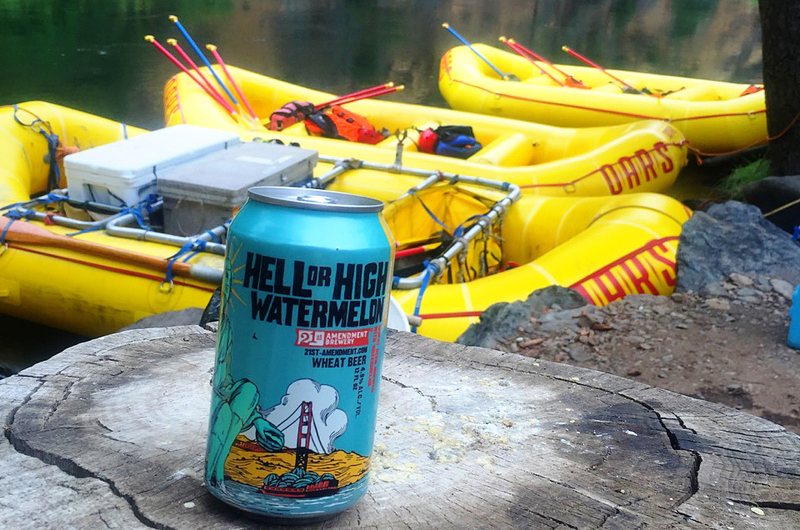 Now running the wildly successful San Francisco-based 21st Amendment Brewery, O’Sullivan has found a new challenge in bringing his wares on river trips. We sat down with O’Sullivan at his new San Leandro brewing location to talk about getting hooked on rafting, how he was inspired by the Wild & Scenic Tuolumne River, and which beer goes best with late night campfires. What’s 21st Amendment known for? We have a saying that we “celebrate the right to be original.” It starts with the beer and our personalities. We created the Hell or High Watermelon wheat beer and when it first came out people heard it and went, “Huh?” Now it’s huge. We also made a Session IPA before session IPAs were popular. And in 2008, we started packaging our beer in cans. Nobody was really doing that back then. Now everybody’s doing it. And cans are a no-brainer for the river. 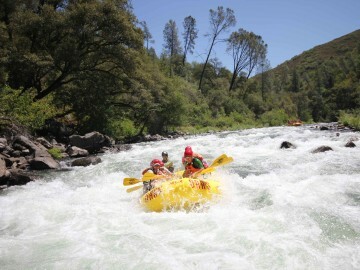 Was the Tuolumne River Craft Beer Tasting your first rafting trip? Yeah, I was scared to death. I was afraid of falling in – I think I actually did fall in. 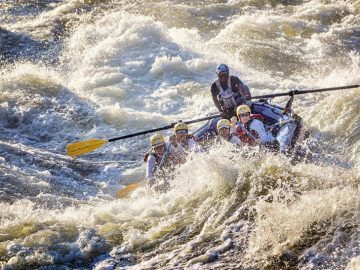 It was exhilarating going through the rapids, but there was also the reflective time in camp; eating great meals, making new friends, getting to know people. My first time absolutely surprised me. How beautiful it was. 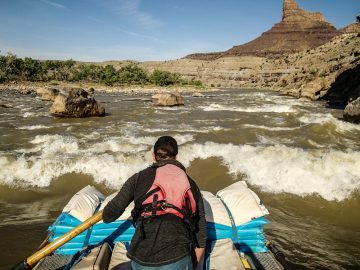 There’s a reason it’s called a “Wild and Scenic” river. My mom had just died a couple weeks before, so I was having this amazing experience, but also having these reflective moments. Now I’m hooked. 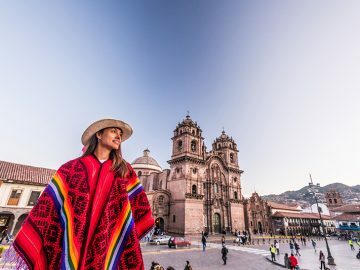 After several of these trips now, what have you learned? Bring more beer than you think you need! Although we haven’t ever run out, I panic. I get all my stuff together and I literally think to myself, “I don’t have enough!” Then I just bring more. I just bring it all. 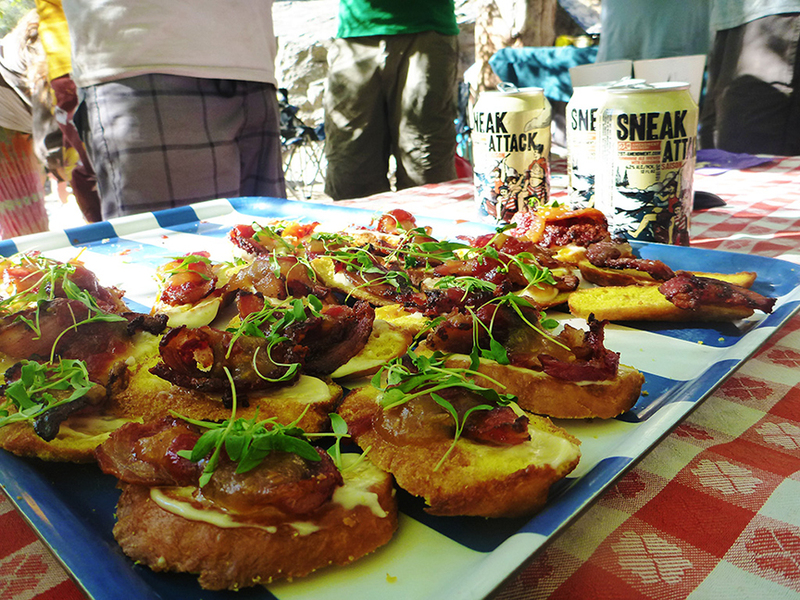 What can people expect on a Craft Beer Tasting trip? Chef Chip Roberts [from the Arnold Pantry] and I will start communicating probably a month before the trip. He’ll come up with a menu idea and I’ll let him know what beer I have available for the trip and then he starts thinking about pairing those beers. The anticipation of the nighttime meal and beer consumption is always fun. People really get into it. We all become 21-year-olds on the trip. Everyone says, “I can’t wait to get a beer!” Hopefully you show up and you like craft beer and if you don’t…get on a wine trip. How do you choose the beers for a trip? 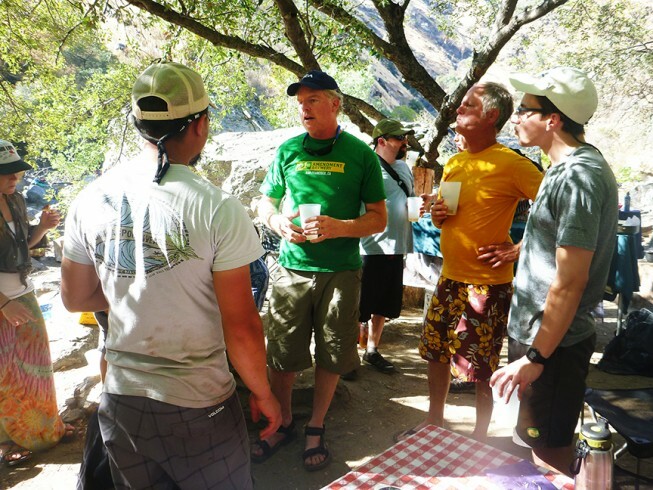 Really the “El Sully” beer was designed for a trip like the Tuolumne; it’s easy drinking, it’s my favorite beer. It’s 4.8% alcohol, with flaked maize in it to keep it dry and bright. But in large part it’s driven by what we’re making at the time. Sometimes I’ll pull vintage beers out. I’ve brought a beer called “Monk’s Blood,” which is a dark Belgian with dried mission figs aged on oak and vanilla bean – a super complex beer with a great malt character to it and it’s fruity and spicy. We usually pair it with dessert. One of the California guides, Eli, used to always say, “Wild and scenic!” and he got me doing it so I made a beer called “Wild and Scenic.” It’s an English summer beer, with really refreshing English hops. That’s something I’m looking forward to bringing on the next trip. Is there typically a crowd favorite? It amazes me what people respond to. I’ll bring an 11.5% alcohol “Lower the Boom” barley wine and there are people that love it. It just depends what you’re into, what scratches that itch. 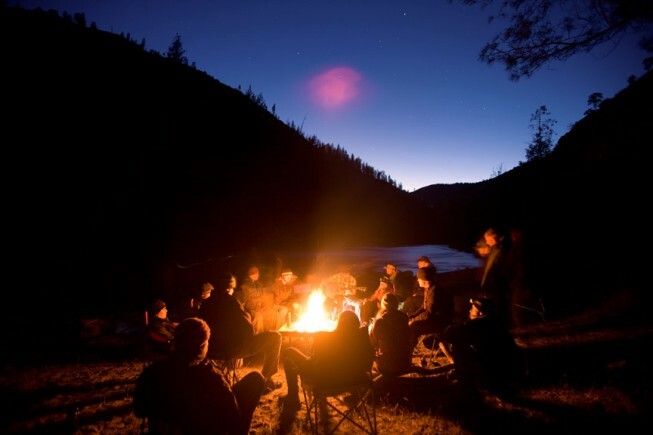 I usually go for the IPAs and lighter beers, but around the campfire late at night when the guitar comes out, that barley wine looks pretty good! The sense of community. How people can sit around and dissect a beer, talk about where it came from and who brewed it. Beer is the common person’s drink that anybody can enjoy. Beer really brings people together and the craft beer community is even tighter. The beer gets you here, but the community is what makes you stay.